Combine historic Montreal and Quebec City with an exploration of the beautiful wilderness of the Gaspe Peninsula. Enjoy spectacular scenery, abundant bird life and the chance to see beluga and other whales on this unforgettable self-drive along the shores of the St Lawrence River. 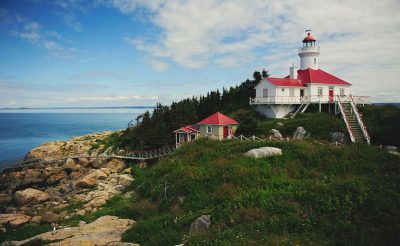 Departing from and returning to the vibrant city of Montreal, this independent itinerary offers the chance to explore the spectacular and little-visited Gaspe Peninsula, home to rugged coastlines, breathtaking mountains and a wealth of wildlife. Following the shores of the iconic St Lawrence River, you will uncover the early European history of this long-populated region and see how these influences remain strong today. Learn of maritime triumphs and disasters as you travel alongside the St Lawrence, once the main trading and immigration route between Europe and Canada. Spend time exploring the architectural highlights of historic Montreal and Quebec City, enjoy boat excursions in search of the numerous species of whales and birdlife that inhabit the St Lawrence Seaway and visit picturesque coastal villages. Your journey will include the unique opportunity to stay at the Pot a l'Eau de Vie lighthouse, surrounded on all sides by this mighty river. 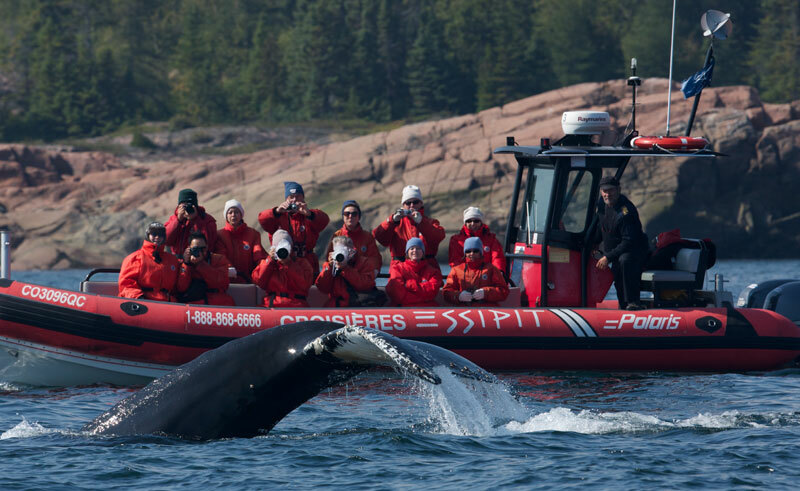 During your 2-week adventure you may see whales – belugas, fin, humpbacks and more, a variety of seabirds including Atlantic puffins and northern gannets in their thousands, and land mammals including caribou, moose and black bears. Take a walk on the wild side and discover the unexpected highlights of French Canada! Upon arrival in Montreal, make your way to your hotel. The remainder of the day is yours to explore this lively city. Points of interest include Vieux Montreal, the Basilique de Notre-Dame and the Chapelle de Notre-Dame-de-Bonsecours. Today you will follow the shores of the St Lawrence River as you head north to Quebec City. Perhaps stop at Trois-Rivieres, one of the first European settlements dating back to 1634 and the point from which French explorers embarked on their North American discovery. Experience the old world charm of Vieux Quebec with its cobblestone streets, fortified city wall (one of a kind in North America), and seventeenth century architecture. A UNESCO World Heritage Site, Quebec City's old town area features artisan shops, Parisian-style cafes, landscaped parks and numerous monuments. Take a stroll on the Plains of Abraham and visit the historic Chateau Frontenac. Following the scenic path of the St. Lawrence, today you are bound for Riviere-du-Loup, the gateway to the Gaspe Peninsula. Kamouraska with its quaint architecture offers a picturesque lunch spot. Upon arrival in Riviere-du-Loup make your way by boat (included) to Pot a l'Eau de Vie lighthouse for a unique overnight stay. After brunch at the lighthouse, take the boat back to the mainland and continue by road to Matane. Drive past beautiful Cacouna village before reaching the Parc Bic, a magical spot for sea excursions, hiking, cycling and harbour seal spotting. Further along the town of Rimouski is home to the Musee de la Mer, a fascinating maritime museum exhibits the tragic tale of the sinking of the Empress of Ireland. Climb the 128 steps to the top of Canada's second tallest lighthouse. Bound for Gaspesie National Park, take in spectacular views of the Chic-Choc and McGerrigle mountains and keep an eye out for wildlife. Enjoy a day at your leisure. The Gaspesie contains the highest peaks of the Appalachian Mountains in Quebec, the only caribou herd south of the St Lawrence, a large moose population, arctic-alpine flora and 150 different species of birds. Explore the Forillon National Park and discover magnificent views of the sea and mountains. Observe abundant wildlife including black bears, porcupines, beavers, black-legged kittiwakes, cormorants, guillemots, seals and whales. 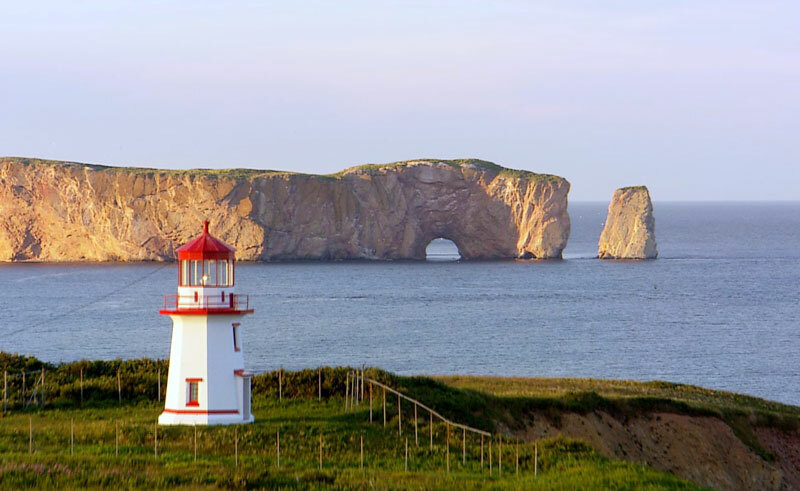 Drive to Perce where you will find the famous rock of the same name, the 'Rocher Perce'. 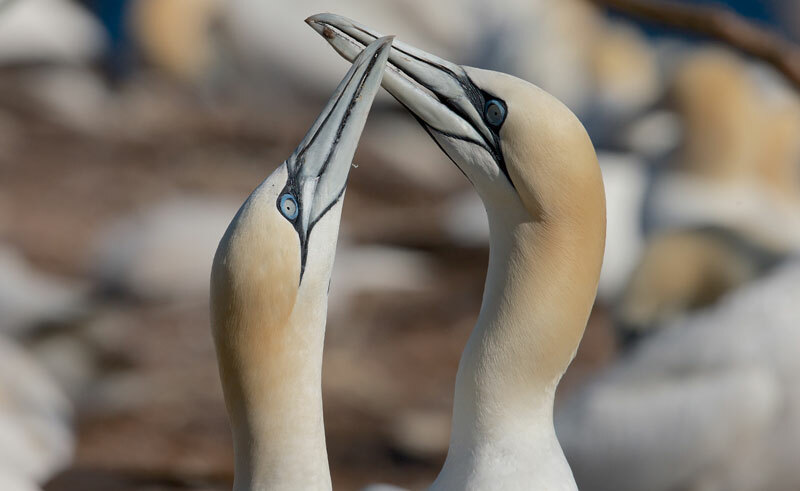 Bonaventure Island and Perce Rock National Park are home to the largest migratory bird refuge in North America with a colony of 110,000 northern gannets. This afternoon enjoy a boat trip to Ile Bonaventure (included). Today proceed along Baie des Chaleurs through numerous picturesque fishing villages to Matapedia. At Bonaventure you may wish to stop to visit the Gospel Chapel, the arts and craft shops and the Acadian Museum. The Parc de Miguasha is also worth stopping at, a UNESCO World Heritage Site renowned for its fossils dating back to the Devonian Period. At Rimouski board a high speed catamaran for the 55-minute crossing to Forestville (included). Upon arrival in Forestville proceed along the North shore of the St Lawrence River to Tadoussac, gateway to the Saguenay Fjord and an immensely popular area for whale watching. Today enjoy a 3-hour whale watching cruise (included). Five or six species, including humpbacks, fin, and a resident pod of beluga whales can be found here. You may even be lucky enough to spot a visiting blue whale! Later catch the 10 minute free ferry ride across to Baie Ste Catherine to continue your journey to la Malbaie. Depart la Malbaie and drive south through the beautiful scenery of the Charlevoix Region. Along the way you may stop to visit picturesque Baie St. Paul and take a stroll along its many narrow streets lined with charming boutiques, art galleries and great restaurants. You may also wish to stop at Sainte Anne de Beaupre's shrine and Montmorency Falls before reaching your final destination, Montreal. Return your rental vehicle and depart Montreal. Some of the St. Lawrence lighthouses may be more imposing, but few have more charm than this 3 bedroom inn. 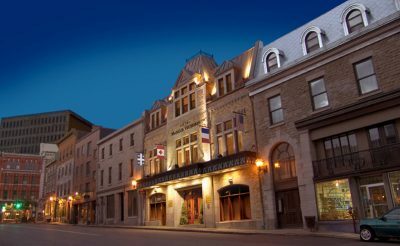 Located in the heart of the historic, walled city of Old Quebec, Hotel Manoir Victoria offers a warm and traditional place to stay in each of its 156 rooms.